Former Chelsea player Paul Elliott would like to see the club opt for a coaching dream team of Guus Hiddink and Mark Hughes. He said "If he (Hiddink) was to come back to Chelsea with somebody like Hughes, who is certainly of the calibre they're looking at, then I see that being a very good potential relationship." Both men have been linked with the vacant Stamford Bridge hotseat following the departure of Carlo Ancelotti on the final day of the season. 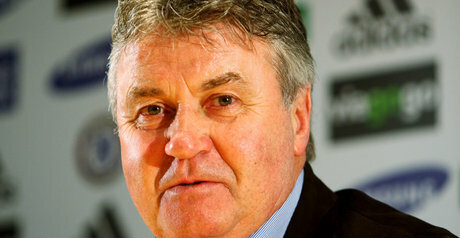 Turkey coach Hiddink enjoyed a successful spell as caretaker manager in 2009 and would be a popular appointment among Chelsea supporters, while former striker Hughes is also available after announcing his decision to quit Fulham. Elliott, who played for the Blues between 1991 and 1994, says bringing in both men in a dual-management set up would be a good idea because Hiddink could take on many of the responsibilities of former sporting director Frank Arnesen. "Hiddink is 64-years-of-age, a vastly experienced man with an impeccable CV and unofficially he has been advising Chelsea. I think Hiddink has got a part to play in terms of the infrastructure at Chelsea and the Academy. With the departure of Arnesen to Hamburg, he can look at that area right the way up to the acquisitions and obviously the first team."